Does your organisation run frequently high-volume and repetitive training? Do the costs, time and associated frustrations make it a difficult area to plan and resource for effectively? We can be of help in solving these issues for you with courses and training options tailored to your needs. 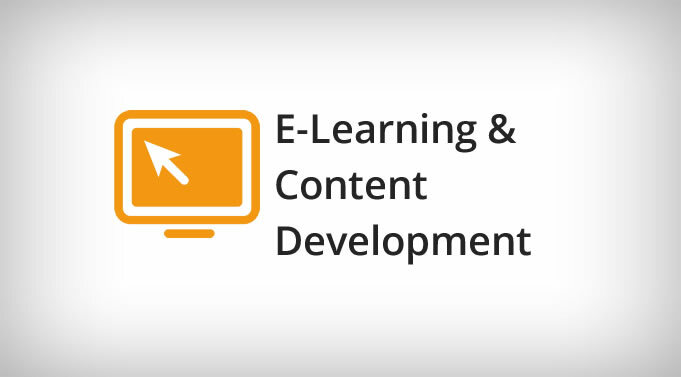 Let us develop e-learning modules for you or learn rapid e-learning development with one of our courses. Why choose the E-learning method? Get excellent metrics when integrated in your Learning Management System (LMS). Higher upfront costs usually associated with e-learning development become short-to-long term savings because your e-learning module can be “played on-demand”, thousands of times, at no extra cost. You can choose to outsource the whole process to our company, to delegate parts of the development to us, or to have us train your team to design and develop e-learning material. Here are few highly representative examples of e-learning modules you may want to build for your organisation. Multiply the time and associated cost of running each programme by the number of employees who must attend and you get a good idea of how fast you will get results from your e-learning. Development starts with a business conversation to determine what your objectives are, both in terms of learning objectives – what you want people to know at the end of the programme – and in terms of results and return on investment – what output and financial objectives the project stakeholders want to attain. We then guide the design, implementation and delivery of the e-learning project to meet the targets set out at the start. We set clear project milestones, include regular status updates, in order to meet deliverables and timelines.